I recently discovered Video Sparknotes. 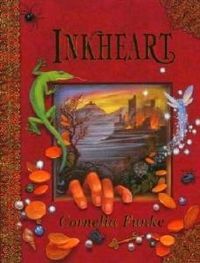 These videos, which can all be found on YouTube, are much like the regular Sparknotes in that they give simplified summaries of numerous famous books as well as explanations to their themes and other aspects of their novels. These videos are a good chance for a quick way to brush up on books for class work as well as preliminary to future reading. I made a slide show of a recent trip I took to my university library. This slide show was made using photosnack. I hope you all enjoy! It’s important for us to remember our national values, such as Freedom of Speech and Freedom of Expression and how important they are for us to function as a society. Banned Book Week is good time to reflect on these and how all print should not be kept from the eyes of the public. This year, Banned Books Week runs from 22nd to 28th September. Founded in 1982 and sponsored by the American Library Association, the campaign celebrates open access to information and aims to raise awareness of intellectual freedom. Now I know that the year is not yet at end and that there is still plenty of time for finding new even better books to read, but I felt that now would be a good time to review some of the gems I have found this year. Not all of these books have been reviewed yet, but rest assured that I shall get to them all eventually! 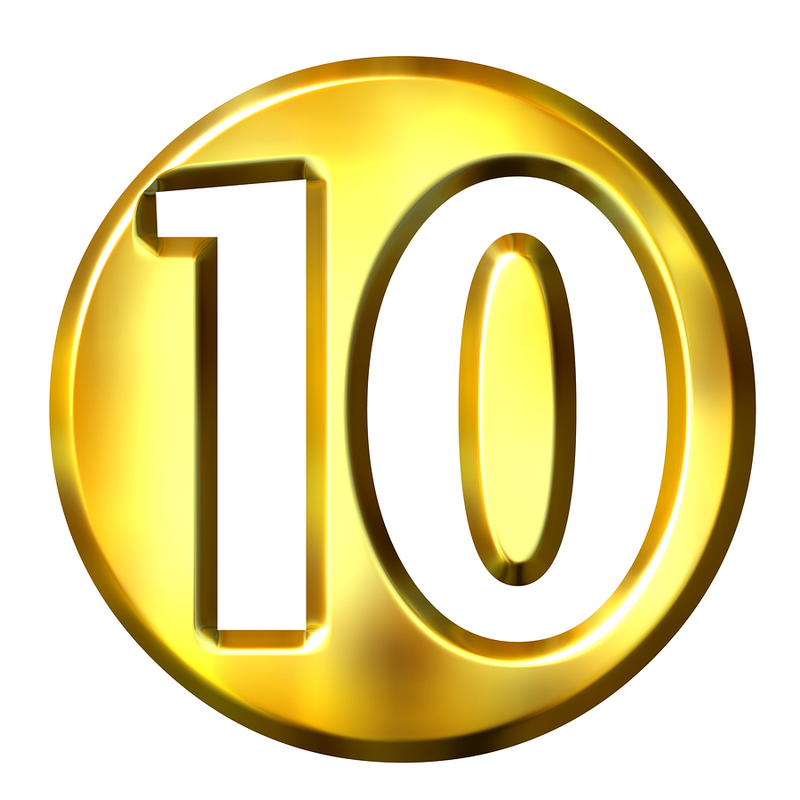 -This is on the number one spot for a number of reasons. The first is that I have never read anything quite like it before or since reading it. Neal Stephenson manages to craft a startlingly wild yet beautiful future for his characters to live in. It becomes more realistic every year with the massive advancements in nanotechnology and 3-D printing that have been occurring as of late. 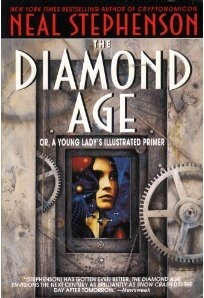 The story presented in this masterpiece of the Cyberpunk Genre is that of a young girl named Nell, growing up in the slums of Shanghai, who comes across a computerized book. This book bonds with its owner and helps to “raise” its owner to thrive in whatever environment the owner lives in. Through this book and other events both around her and around the world she manages to become something great. 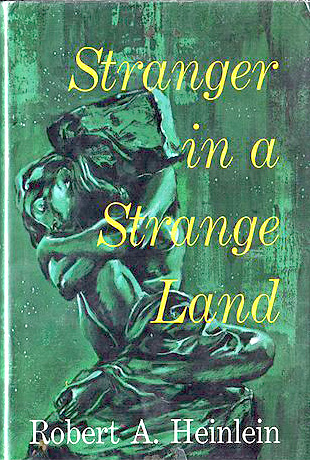 -Long considered the Bible of the Hippie Movement of the 1960’s, Robert Heinlein’s Stranger in a Strange Land is a milestone of early Science Fiction. 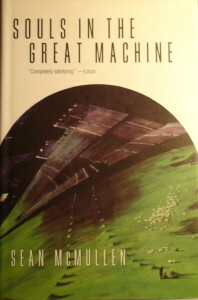 This novel taught us how to grok in life and how hard it can be to understand new things when first experiencing them. This novel tells the story of Valentine Michael Smith, the only survivor of the first Human expedition to Mars. He is only a child when his parents and their fellow crewmates die and is raised by the indigenous Martians of the planet. Several years later he is “rescued” by a second expedition and comes back to Earth. Here in becomes something of a celebrity as he tries to figure out not only his fellow humans, but also strives to bring what he learned on Mars back to Earth. -Picture a world far into the future where combustion engines and electricity are banned, where librarians fight duels with flintlock pistols for honor and wind trains are the main means of getting from one destination to another. If you can adequately do this than you have only a part of the picture that Sean McMullen created in this amazingly well written book about Australia more than 2000 years into the future. This book is also the first in what is known as the Great Winter Trilogy. I am only on the second book and I am constantly surprised with how well thought out the premise and execution of the story in both books are. -Before I read this book I had never actually believed that a comedy novel was possible. What is usually labeled “Comedy” in book stores and libraries are more often memoirs of famous comedians like Chelsea Handler or Tina Faye or very old joke books. 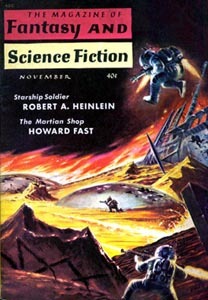 John Toole was able to accomplish what I at first thought was impossible. He was able to create a very silly story, make the characters both larger than life, yet quite believable, and to write it in a very enjoyable style. 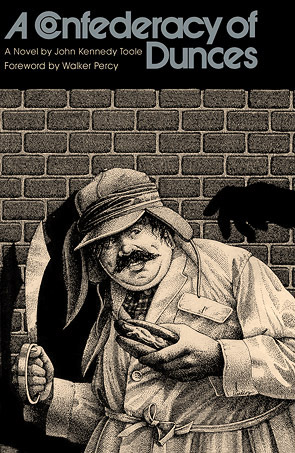 This novel tells the story of Ignatius Reilly, a good for nothing mama’s boy with a History degree of Medieval History. He only has two delights: criticizing the world around him and eating. Set in the little used (outside of vampire stories) setting of New Orleans, it gives a charming portrayal of life there in the 1950s. -This was one of the more chilling books I’ve ever read. 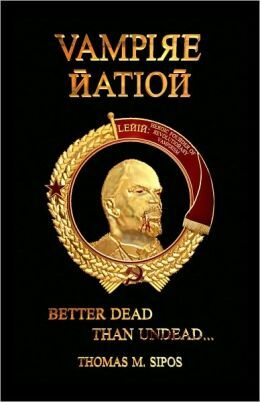 It takes place in the Soviet Union during the final days of Stalin, a place that is so “utopian” that murders don’t take place. Enter MGB agent Leo Demidov. Disgraced by a jealous comrade he is banished to a small dirty city east of Moscow. Here he comes across numerous murders of children. In a nation where murders are swept under the rug by those who swear to protect the citizens only he can solve the crime. This novel is also the first in a series and is exceedingly well researched. The crimes portrayed are based on the murders committed by famous Russian serial killer, Andre Chikatilo. Extensive detail also goes into describing life under Stalin and how literally millions of people lived in fear every day. -While this is an action packed story of zombies and the terror that always accompanies them it is all somewhat comedic in tone. Mike McKnight is an action star condemned to a high security mental ward for the murder of his beloved wife. One day he wakes up from the daze of “calming” medications to find his cell unlocked and the orderlies gone. 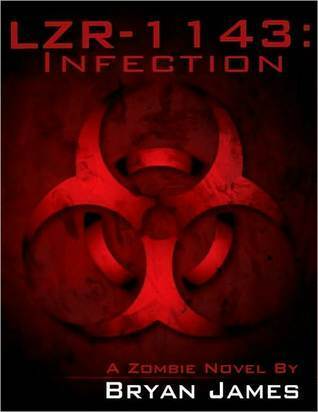 This novel is full of the normal gore we find in other zombie stories, but I found the idea of an action star in the zombie apocalypse quite interesting. It turns out that someone like that may be better equipped for it than anyone else. There are numerous instances that Mr. McKnight has to use something he learned from covering people for his roles to get out of a tight spot. The character developments as well as the description of a broken America are also quite entertaining to read. -I previously reviewed this book in July (the review can be read here: http://wp.me/p3mys6-2K). 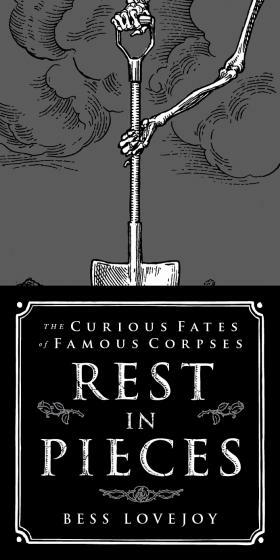 It is a collection of true stories as to the eventually fates of the corpses of famous people. Some of the corpses profiled are that of Einstein, Columbus, and Hunter S. Thompson. This book was good fun to read. It was entertaining and informative. At times it got kind of disgusting and hard to read, but those parts never lasted too long and in the end they were worth the read. -This book is one of the hallmarks of Civil War Literature. 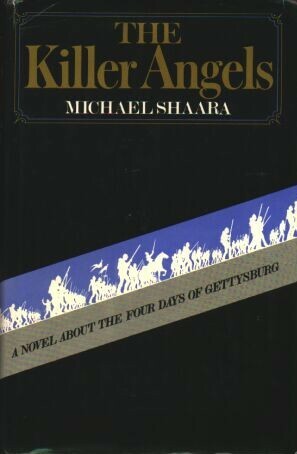 It is a fictionalized retelling of the Battle of Gettysburg from the viewpoints of many of the famous generals and soldiers involved. 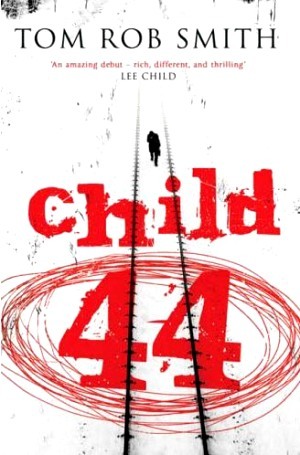 Much like Child 44 and Rest in Pieces this book is also well researched and this fact adds to the veracity and entertainment value of the story. Many parts of the book are accompanied with maps which helps the reader top better understand the full scope of the battle. -This book twists the POW-theme we are all used to from such movies and novels as the Great Escape or Bridge on the River Kwai and turns the theme on its head. War Trash portrays the experience of being a POW from the enemy’s point of view. In this case a Chinese POW during the Korean War. The book portrays camp life under the Allies as being no less tough than it was for American POWs in other wars. The main difference is that while American POWs were tortured and harassed by their captors in this story the captives are harassed by their own fellows. The prisoners are divided by their allegiance to either the People’s Republic of China on the mainland and that of the Republic of China in Taiwan. While most just want to be left alone, these two sides soon drive them to one side or the other through a mixture of fear tactics and outright torture. 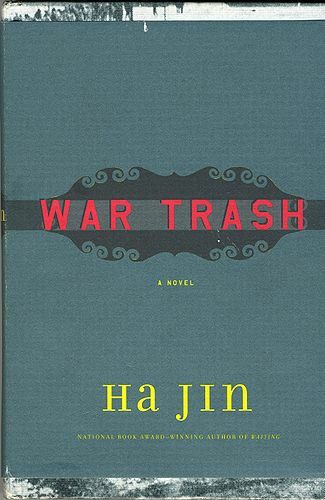 This book gives a very unsettling, yet poignant view of the Korean War. This book will stick out in the mind of any reader. 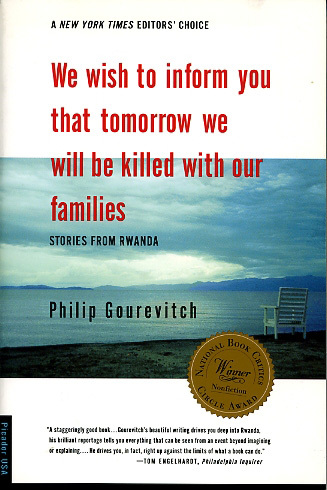 It the most famous written source about the Rwandan Genocide of the early 1990s. It is hard to put this book into words as it is so ambitious in its scope and so brutal in its descriptions of the mass murders that took place in the small African nation. While this book describes the violence of the event it also attempts to explain how and why such a terrible event happened in the first place.